As the Syrian government makes increasingly desperate and vicious efforts to keep power, pleas for military intervention, more or less on the Libyan model, have become more insistent. This course is morally attractive, to be sure. But should Western states follow this counsel? I believe not. Those calls to action fall into three main categories: a Sunni Muslim concern for co-religionists, a universal humanitarian concern to stop torture and murder, and a geopolitical worry about the impact of the ongoing conflict. The first two motives can be fairly easily dispatched. If Sunni governments – notably those of Turkey, Saudi Arabia, and Qatar - choose to intervene on behalf of fellow Sunnis against Alawis, that is their prerogative but Western states have no dog in this fight. 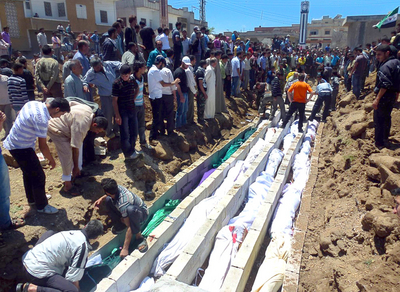 Who was responsible for the massacre in Houla, Syria, on May 25-26? Shown here: a mass funeral of victims. Generalized humanitarian concerns face problems of veracity, feasibility, and consequence. Anti-regime insurgents, who are gaining on the battlefield, appear responsible for at least some atrocities. Western electorates may not accept the blood and treasure required for humanitarian intervention. It must succeed quickly, say within a year. The successor government may (as in the Libyan case) turn out even worse than the existing totalitarianism. Together, these factors argue compellingly against humanitarian intervention. Foreign policy interests should take precedence because Westerners are not so strong and safe that they can look at Syria only out of concern for Syrians; rather, they must view the country strategically, putting a priority on their own security. 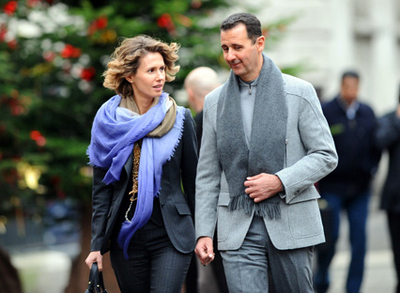 Asma and Bashar al-Assad in happier times. Robert Satloff of the Washington Institute for Near Eastern Policy has helpfully summarized in The New Republic reasons why a Syrian civil war poses dangers to U.S. interests: the Assad regime could lose control of its chemical and biological arsenal; it could renew the PKK insurgency against Ankara; regionalize the conflict by pushing its Palestinian population across the Jordanian, Lebanese, and Israeli borders; and fight the Sunnis of Lebanon, reigniting the Lebanese civil war. Sunnis jihadi warriors, in response, could turn Syria into the global nexus of violent Islamist terrorism – one bordering NATO and Israel. Finally, he worries that a protracted conflict gives Islamists greater opportunities than does one that ends quickly. Jordanian Salafi leader Abou Mohamad Tahawi sees Alawis and Shi'is – not Israelis - as the greatest threat to Sunnis. To which I reply: Yes, the WMDs could go rogue but I worry more about their ending up in the hands of an Islamist successor government. A renewed PKK insurgency against the hostile government ruling Turkey, or increased Sunni-Alevi tensions in that country, hardly rank as major Western concerns. Expelling Palestinians would barely destabilize Jordan or Israel. Lebanon is already a balkanized mess; and, as opposed to the 1976-91 period, internal fighting underway there only marginally affects Western interests. The global jihad effort has limited resources; the location may be less than ideal, but what better than for it to fight the Pasdaran (Iran's Iranian Revolutionary Guard Corps) to the death in Syria? As for time working against Western interests: even if the Syrian conflict ended immediately, I foresee almost no prospect of a multi-ethnic and multi-confessional government emerging. Whether sooner or later, after Assad and his lovely wife decamp, Islamists will likely seize power, Sunnis will take vengeance, and regional tensions will play out within Syria. It lessens the chances of Damascus from starting a war with Israel or re-occupying Lebanon. It increases the chances that Iranians, living under the thumb of the mullahs who are Assad's key ally, will draw inspiration from the Syrian uprising and likewise rebel against their rulers. It inspires greater Sunni Arab anger at Tehran, especially as the Islamic Republic of Iran has been providing arms, finance, and technology to help repress Syrians. 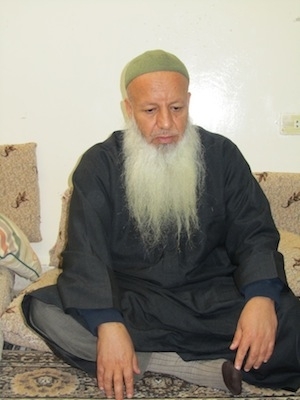 It relieves the pressure on non-Muslims: indicative of the new thinking, Jordanian Salafi leader Abou Mohamad Tahawi recently stated that "The Alawi and Shi'i coalition is currently the biggest threat to Sunnis, even more than the Israelis." It foments Middle Eastern rage at Moscow and Beijing for supporting the Assad regime. Western interests suggest staying out of the Syrian morass. June 13, 2012 update: I respond to several reactions to the above article at "Further Thoughts on Not Intervening in Syria." Iran's continuing support for Assad has … tarnished Iran's narrative of the Arab Spring as an Islamic Awakening inspired by Iran's own Islamic Revolution. According to this narrative, one marketed extensively in Iran, in expressing opposition to their leaders, Tunisian, Egyptian, Bahraini and Libyan protestors were rejecting not only their own autocratic leaders but also America's predominant position in the Middle East, Israeli hegemony, and secularism—all tenets that remain central to the Islamic Republic's worldview. while the fall of the Assad regime would be a significant blow to Iran's ability to project power in the region, the damage done to its Islamic Awakening narrative might be even greater. The inability of Iran's leaders to martial the ideological tenets of that narrative—Islamic values, Iranian independence, opposition to Western influence in the region, support for the fight against Israel—would represent a severe blow to the Islamic Republic itself. Aug. 21, 2012 update: I offer another argument along these lines at "Wait Out the War in Syria" in The Washington Times.